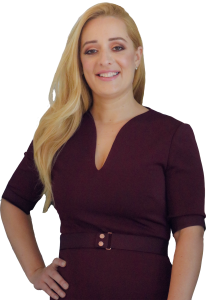 Marcie Gregorio-Montoya is a new generation expert specializing in residential and commercial real estate, foreclosures, short sales and investment opportunities. She was lucky to be brought up in a family business based in real estate. Her experience and expertise is broad in scope. Marcie readily demonstrates her skills while building relationships, assisting buyers in realizing their dreams, helping sellers and investors lock in deals, then moving on to the closing by offering her clientele the best customer care services in the industry. This business requires understanding client objectives to have effective closings in real estate, which are smooth and perfect; attention to numerous details is paramount. An important part of Marcie’s experience comes from working several years with legal firms which represented developers, banks and corporate giants handling all aspects of REO, REO/foreclosure closings, condo development conversions and acquisitions. Her expertise in high-end luxury closings is unmatched. Fluent in English, Spanish, and Portuguese, Marcie has a great advantage bringing deals together by her ability to assist international clients with clarity when explaining either side of a transaction. By using her eloquent verbal and written communication skills, Marcie frequently assists other local agents making sure their closings get done with precision. Currently, living and working in Brickell, Miami, Marcie is focused on serving her community and providing the best real estate services in the market. She is excited and proud to open her own title company representing her clients directly.